Not much has changed from last weeks report with the deep holes in the river still producing the goods. Trevally, flathead, bream, tailor and the odd school jew are hitting the Ecogear ZX40 lures worked along the bottom of the holes. The surface fishing has gone quiet as the water has become a little discloured with the recent rain but when the water clears up it will be game on again for the topwater anglers. Try flashy colour lures in the deeper holes while the water is still dirty. The weather has been finicky this week with some nice days and good fishing sessions mixed in. Some much welcome rain will set us up well for some great fishing over Autumn and Winter. Highlight of the week was Sunday morning’s charter. 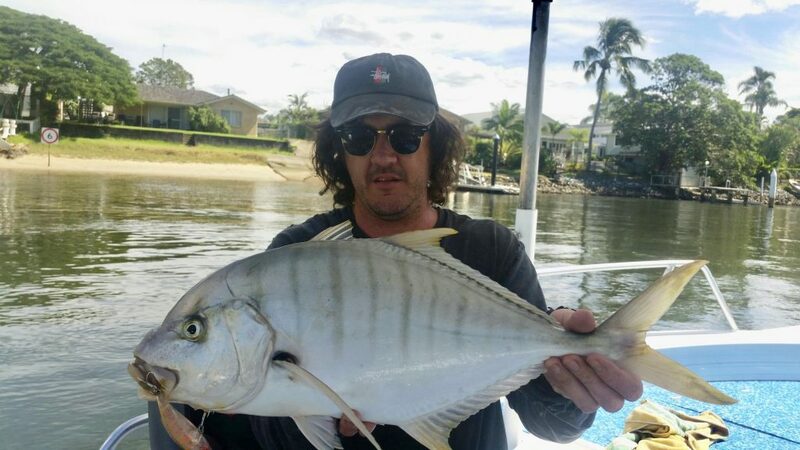 Alaeddin flew in from Sydney on Saturday and had booked a night jack charter along with his mate Shane who lives locally. After the rain and sudden temperature drop we had on Saturday we decided the jacks would probably shut down at night, and changed tactics to a day time lure charter. We started off with Ecogear ZX40 vibes with a smear of Sax scent goldprawn rubbed on them, and dropped them into a deeper hole in the river, close to slack tide. 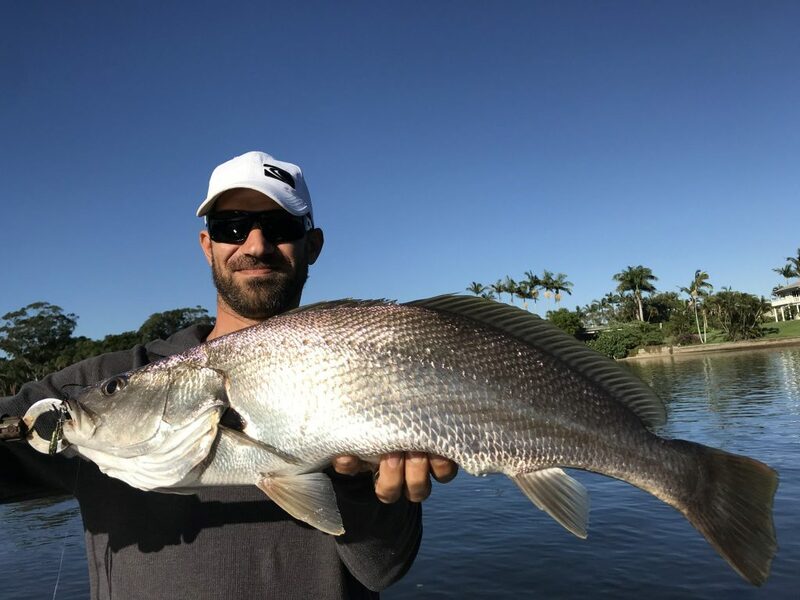 Immediately the more flashy looking 417 colour lure got smashed and minutes later Alaeddin caught and released a beautiful school mulloway. 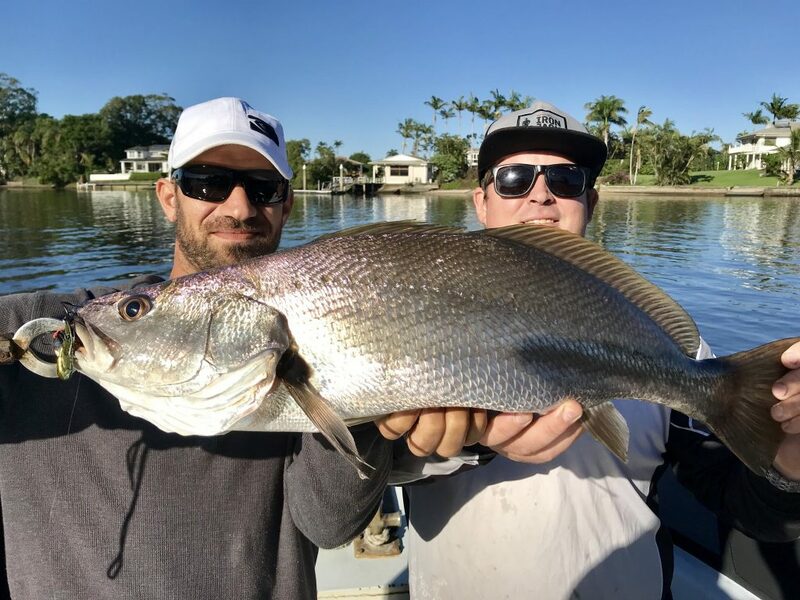 He followed up straight away with another one, and Shane pulled in two of his own, making it four Mulloway in the first hour, quite an adrenalin rush. Alaeddin then caught his personal best flathead measuring 70cm in shallower water on the same lure. All fish were released in strong condition. We then headed to the broadwater to catch some snapper, sand whiting, winter whiting, and a cuttle fish. 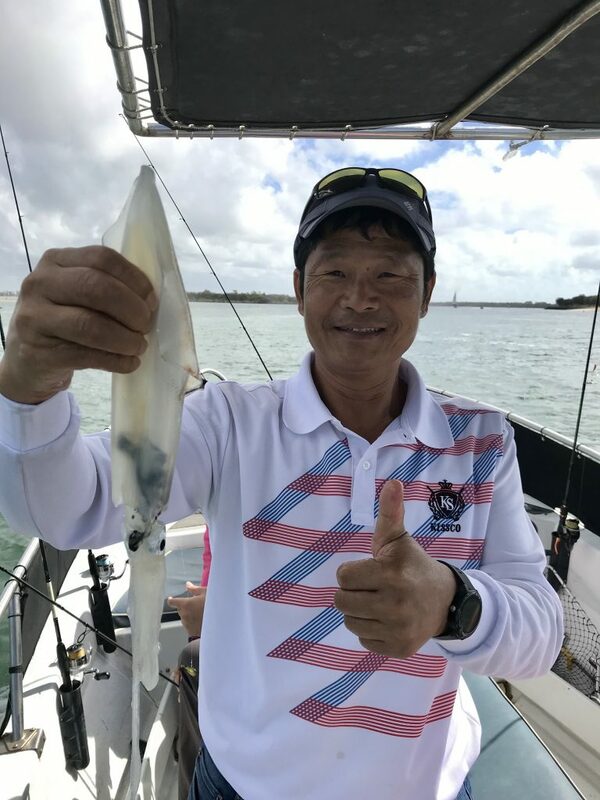 The other trips this week featured a mix of estuary and reef fish as well as good size arrow squid, all caught on Ecogear vibes and Zerek fishtraps. This weekend falls just after the new moon. There is still plenty of bait and fish in the seaway, worth a try around the morning high tide but enough run to fish the flats as well. 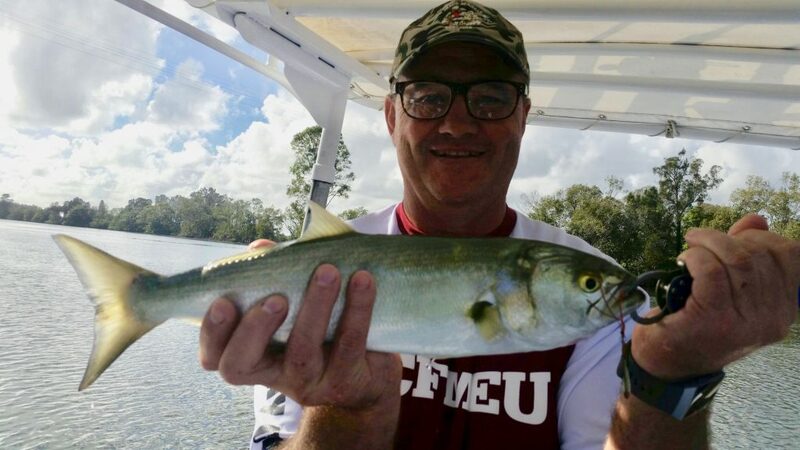 If the wind gets up early try the sheltered canals casting vibes and trolling small hardbodies such as Pontoon 21 crackjacks, Savage gear 3D DR shrimps, and Lively Lures micro mullets, in metallic colours if the water is discoloured.